Air strikes on Syria's rebel-held Idlib province hit a school and the surrounding area on Wednesday, killing at least 26 civilians including many children, a monitor and activists said. The Syrian Observatory for Human Rights said "warplanes -- either Russia or Syrian -- carried out six strikes" in the village of Hass, including on a school complex. The Britain-based Observatory, which monitors Syria's five-year conflict, said at least 11 children were among the 26 civilians killed. The White Helmets civil defence group released pictures of four rescue workers clambering over a mound of rubble in search of survivors after what it said was a "double-tap" strike on the school. 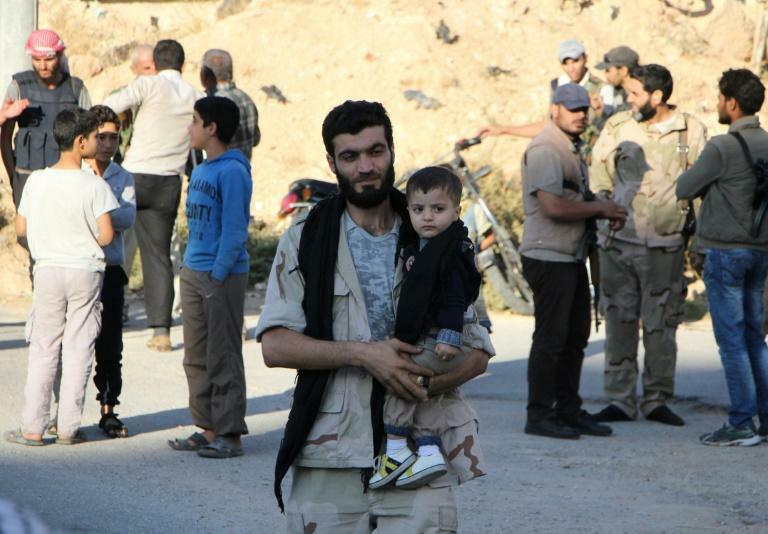 The raids hit Hass around 11:30 am (0830 GMT), an activist with the opposition Idlib Media Centre told AFP. "One rocket hit the entrance of the school as students were leaving to go home, after the school administration decided to end classes for the day because of the raids," the activist said, speaking on condition of anonymity. Other activists from the province circulated a photograph on social media of a child's arm, seared off above the elbow, still clutching the strap of a dusty black rucksack. Shaky video footage depicted rescue workers sprinting towards the site of the raids and pulling a frail, elderly man out of a collapsed building. The authenticity of the pictures and footage could not be independently verified. Syrian government forces and their Russian ally have been criticised by rights groups for indiscriminate attacks on civilian infrastructure. A leading opposition group condemned the raids. The Istanbul-based National Coalition said Russian and regime warplanes "targeted children in their schools, deliberately and intentionally hitting civilians with high-explosive material." Idlib province is controlled by the Army of Conquest, an alliance of rebel groups and jihadists including the Fateh al-Sham Front, which changed its name from Al-Nusra Front after breaking off ties with Al-Qaeda earlier this year. 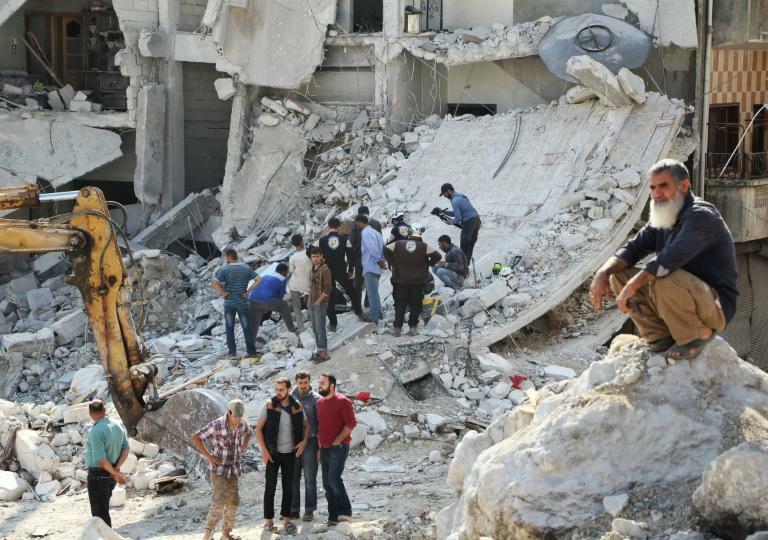 Syrian and Russian warplanes regularly bomb Idlib, but air strikes have intensified in recent weeks, according to the Observatory. Seven days of air strikes across the northwestern province had left more than 75 civilians dead and another 150 wounded, it said. Syria's conflict erupted in March 2011 with protests calling for the ouster of President Bashar al-Assad. But it has since evolved into a multi-front war, pitting jihadists, rebels, government forces and Kurdish militia against each other. More than 300,000 people have been killed and millions forced to flee their homes.